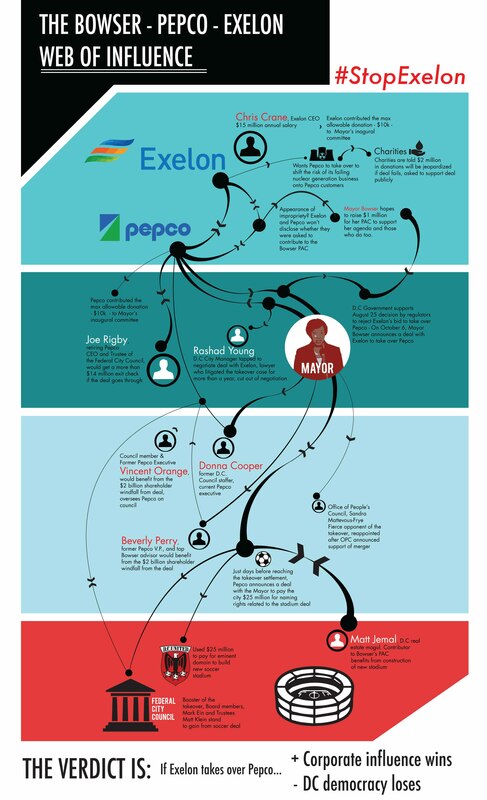 ﻿Scandal, Shady deals, + "soccergate"
Nothing about the Exelon takeover of Pepco appears to be in the public interest. The Mayor's new settlement stinks. It is a bad deal for DC and doubly so because it was made in secret under shady circumstances after the public process had already happened. DC regulators did their job. After a thorough review of the case, they unanimously rejected Exelon's takeover as 'not in the public interest'. Mayor Bowser agreed with the initial decision, but a month later announced a change of heart. The events look fishy. Why did Mayor Bowser change her course? DC deserves answers. DC utility regulators conducted over a year of public proceedings to determine if Exelon's takeover of Pepco would be in the public interest. After the long and thorough process, they unanimously rejected the merger. The next month, Exelon sent an army of lobbyists, and the Mayor cut a back room deal with Exelon and Pepco executives. If Exelon is this powerful now, how will they act if they become the DC utility? ﻿BREAKING: Exelon hired FreshPAC head to lobby for merger. 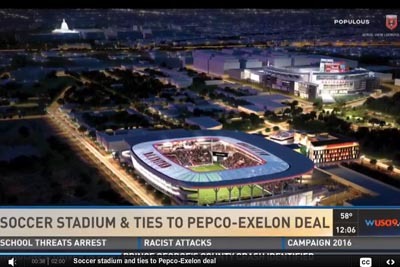 Neither Pepco nor Exelon will say if the Mayor's office asked them to give money to the Mayor's controversial political fund at the same time they were negotiating the $6.8 billion utility merger with the Mayor. Instead of answering the question, the Mayor closed the fund.